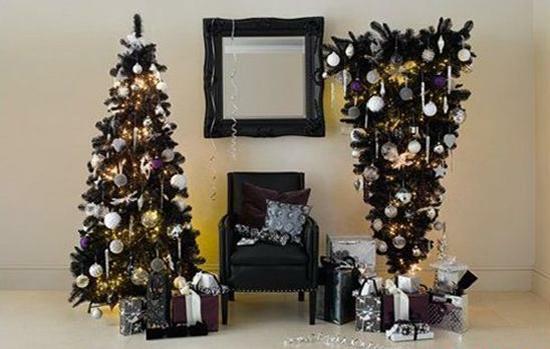 The festive season has rolled round again and people around the world are busy going about their traditional Christmas preparations – presents under the tree, stockings by the fire, but a few of these traditions aren’t quite as steeped in history as you might think, and Christmas itself hasn’t always been welcomed like it is now. So here is our celebration of all those things you probably didn’t know or hadn’t thought about christmas. Enjoy. It’s so sweet isn’t it, that little smooch under the mistletoe? Maybe not. Mistletoe literally means ‘dung twig’ as it takes its name from the fact that it tends to grow from bird droppings on trees after its seeds have already been digested. 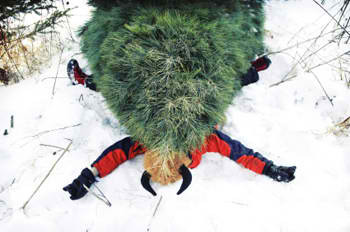 It can also be parasitic as the festive favourite often requires a host tree to sustain itself. Remember that next time you go in for a romantic kiss this Christmas. During the puritanical days of seventeenth century England, Christmas was actually declared illegal. An Act of Parliament passed in 1644 outlawed the holiday due to the fact that it was associated with revelry and merrymaking. This led to a great deal of conflict and eventually the Puritans were forced out and left for the New World. It didn’t stop there though – they took their distaste for Christmas with them to the new colony and from 1659 to 1681, showcasing one’s holiday spirit in Boston could cost you a fine. That’s right — Christmas was illegal there too. In fact Christmas was so inconsequential in early America that it took almost a century for Congress to proclaim it a federal holiday. According to UNICEF, there are 2,106 million children under the age of 18 in the world. Bear with us. That works out to about 842 million stops that Santa has to make on Christmas Eve, meaning he would have to travel about 221 million miles to deliver all his presents. 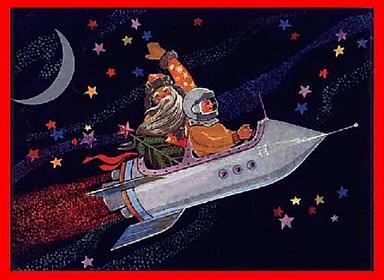 In order to get all those gifts delivered in one night he would need to go from house to house in less than 1/5,000 of a second, requiring an acceleration of 12.19 million miles per second every time. 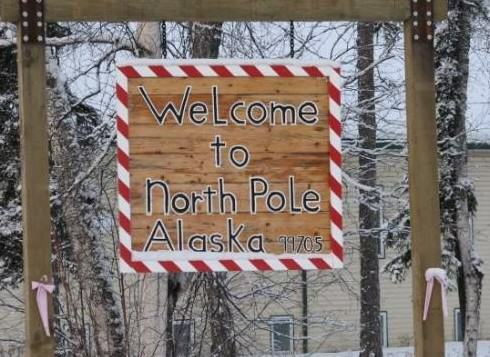 Every year the small town of North Pole in Alaska receives hundreds of thousands of letters from children all over the world. Volunteers from the town’s 1,600 strong population make an effort to reply to every letter that has a return address. It is also home to many Christmas-themed streets including Santa Claus Lane, St. Nicholas Drive, Snowman Lane, and Kris Kringle Drive, as well as the world’s largest fibreglass statue of the jolly man in red. 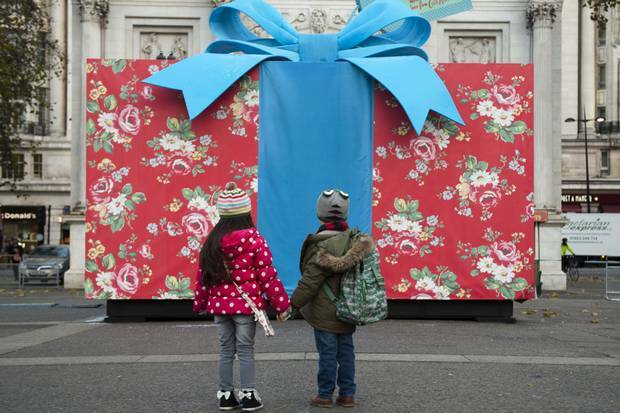 What Was The Biggest Ever Christmas Present? In 1886 the United States of America became the recipient of the largest Christmas present in history when France presented it with the Statue of Liberty. Weighing 225 tons and standing 46.5 meters high, the statue was built on ‘Liberty Island’ and originally doubled as a lighthouse. It was given by the French people as an icon of freedom and was often thought of as the first welcome to immigrants arriving in New York. The jolly chap in the red suit – well, over the years Santa actually wore a variety of different coloured suits including red, blue, white, and green. It wasn’t until he was depicted wearing his now ubiquitous red coat in a Coca Cola ad campaign in the 1930s that his modern image really took off. Likewise, Frosty the Snowman and his famous pipe couldn’t escape the clutches of the advertising industry with the chain-smoking snowman becoming the poster boy for all manner of booze ads appearing in posters for Miller beer, Jack Daniel’s, Ballantine ale, Rheingold beer, Schlitz beer, Schenley, Oretel’s lager beer, Chivas Regal scotch, Fort Pitt pale ale, Mount Whitney beer and Four Roses. Bet he had a merry Christmas. When copywriter Robert L. May first invented the now famous symbol of Christmas in 1939, it was as a marketing gimmick for Montgomery Ward’s holiday colouring books. 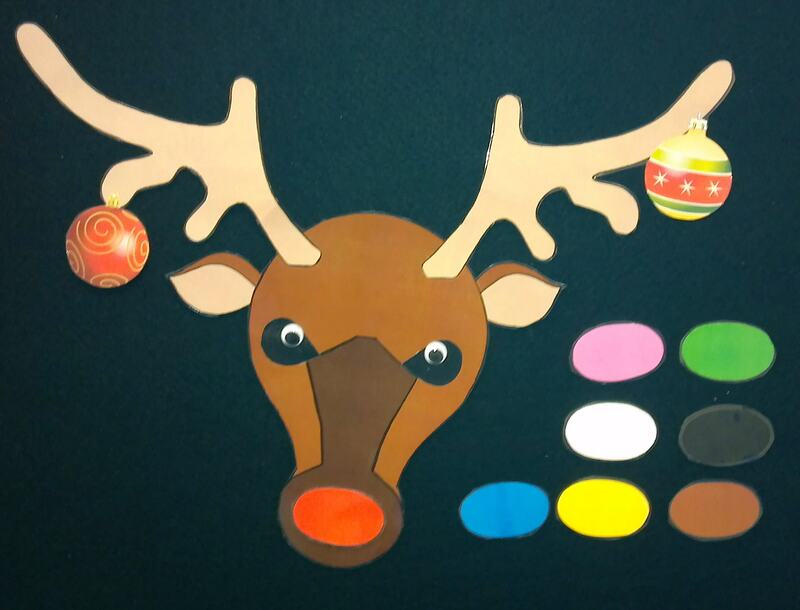 May considered naming the now beloved misfit either Reginald or Rollo before settling on Rudolph. 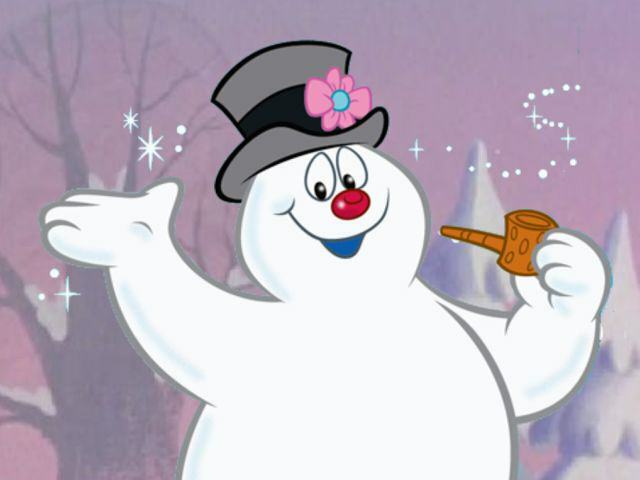 His nose was originally blue as red noses were viewed as a sign of sign of chronic alcoholism and Montgomery Ward didn’t want him to seem like a drunkard. That’s right – the amount of accidents due to people overdoing it at Christmas parties, hanging up lights on wobbly ladders and spending more time in the kitchen make Christmas one of the most dangerous times of the year. In fact, the Consumer Product Safety Commission estimates that, on average, 15,000 Americans visit hospital emergency rooms each November and December from holiday-related decorating accidents. The Fire Service are kept busy as well, with figures from last year revealing that dried-up Christmas trees sparked hundreds of fires, causing 17 deaths, and $13 million (£8.6 million) in property damage in the US. 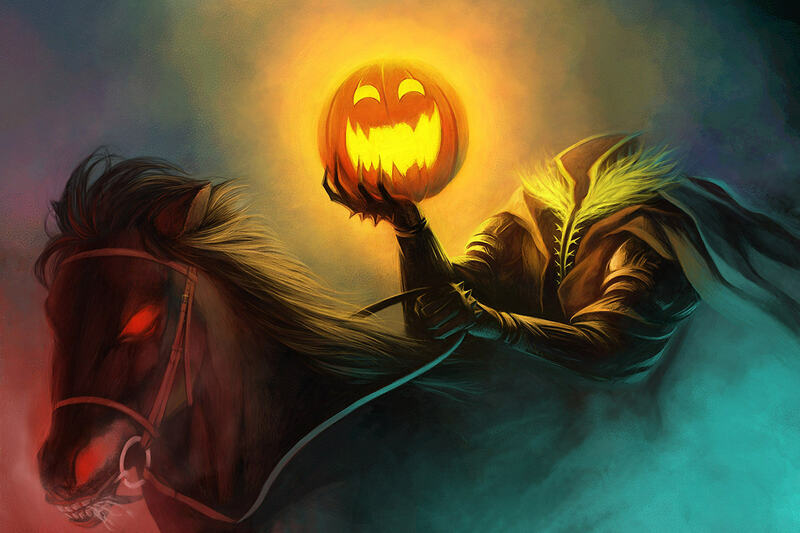 What Do Santa Claus And The Headless Horseman Have In Common? 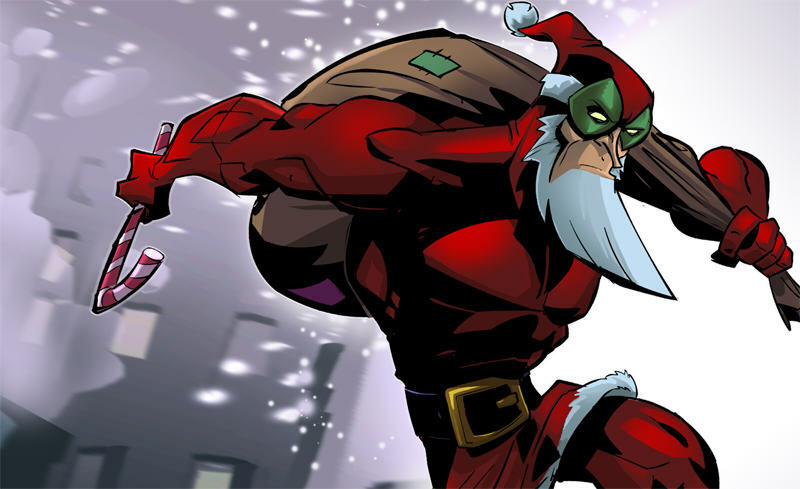 Washington Irving – the author best known for creating the Headless Horseman – was also responsible for the iconic image of Santa flying in a sleigh. In his 1819 series of short stories The Sketch Book of Geoffrey Crayon, Irving described a dream of his in which he watched St. Nicholas soaring across the sky in a weightless wagon. The collection of short stories became so popular that they went viral (in the 19th century sense) across the States, even making back across the Atlantic where they are rumoured to have inspired Charles Dickens to write his classic holiday tale A Christmas Carol.